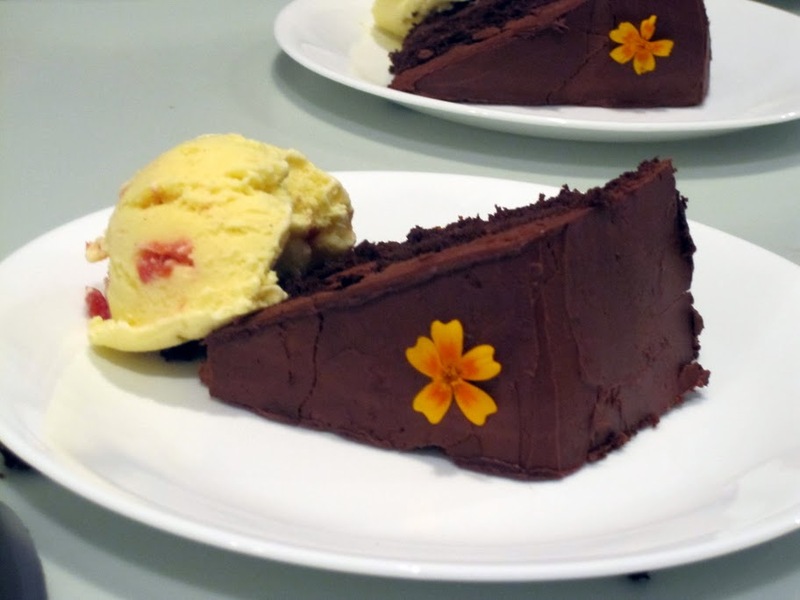 One year ago today, I decided to get my Blog On and create this food blog. 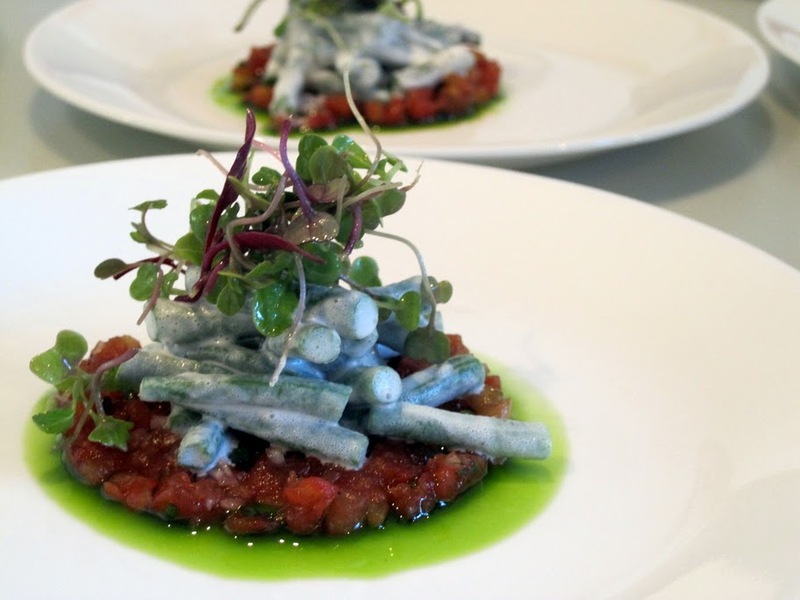 The idea was to talk about the local food scene in Ann Arbor, Michigan, to provide recipes, and event listings, to talk about food culture and food activism, and to provide the occasional restaurant review. And I am still going strong. It has been a fun year. I met a bunch of other local food bloggers, foodies, and local food advocates. A lot has happened this year. Thanks to everyone who took the time to check my blog this year, and who took the time to comment. There will be more good stuff to come in year two. If you like this blog, please add it to your blogRoll, tweets, and tell your friends. 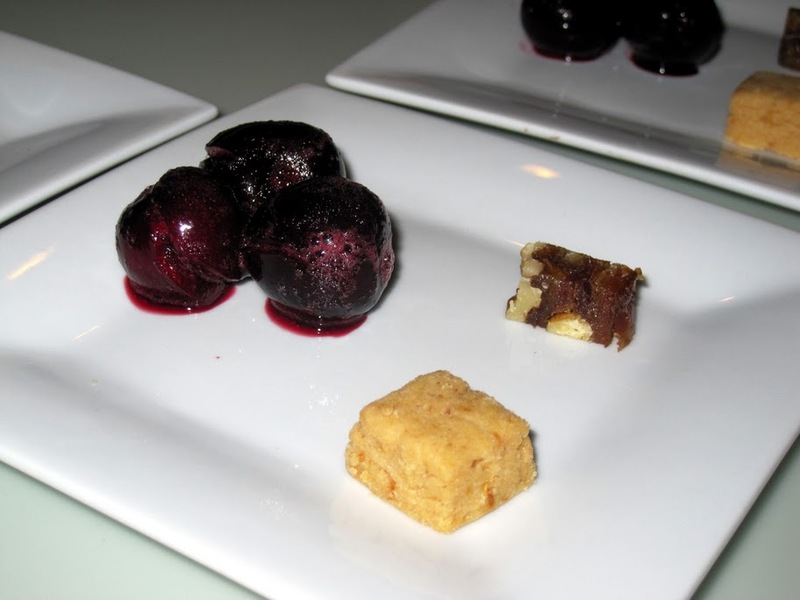 Readers of this blog will know about The Ann Arbor Sugar Beet Project. The idea of the project is to empower home gardeners to grow their own beets and have more power where their food comes from. I found this article which reports on the current state of GMO-Sugar Beet Production. The news is not good, and affirms the need for an organic/non-GMO practice of growing sugar beets, and sugar beet sugar. At the World Association of Beet and Cane Growers (WABCG) conference held in Cambridge, UK July 19-21, US growers, where 95% of beets are genetically modified, admitted that GMO beets showed reduced yields and cost more to produce than last year. A June 2010 US Department of Agriculture report shows that yields dropped from 26.8 tons per acre in 2008-09 to 25.7 tpa in 2009-10. Worsening conditions for farmers, the cost of production went up after Monsanto raised seed prices 22%. William Baldwin, a director at the American Crystal Sugar Company, called the price increase “brutal,” reports AgriMoney. WABCG, which promotes genetically engineered crops, reported that 130 delegates from over 20 nations attended its tenth conference. Monsanto denied all negative comments about its product, reports AgriMoney. Monsanto’s GM beets came under fire last year when a Northern California district court ruled that the USDA had unlawfully deregulated Monsanto’s sugarbeets, which are genetically engineered to withstand its herbicide Roundup. Despite that the court found that Roundup Ready sugar beets “may cross-pollinate with non-genetically engineered sugar beets and related Swiss chard and table beets,” and “may significantly affect the environment,” in March, Judge Jeffrey White allowed planting to go forward while the federal government prepares an Environmental Impact Statement. The court will hear arguments in August on whether to ban the GM beets. 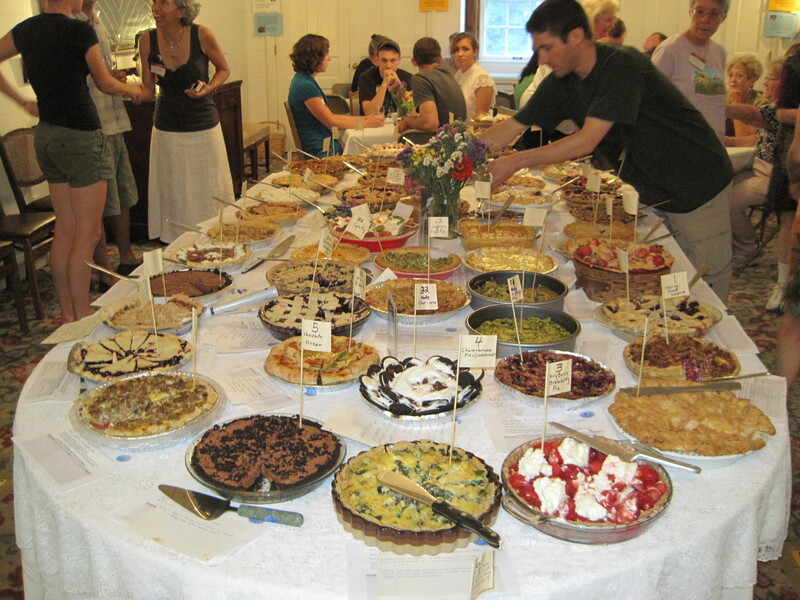 There were 70 pies. Count them 70 in this pie-o-polluza. 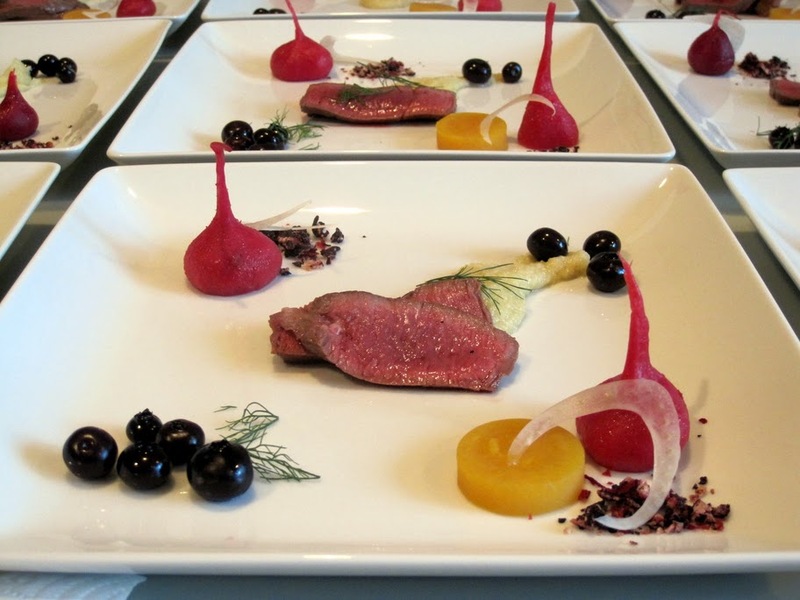 This event was a fundraiser to help send 6 people to terra-madra, a slow foods pow-pow in Italy. 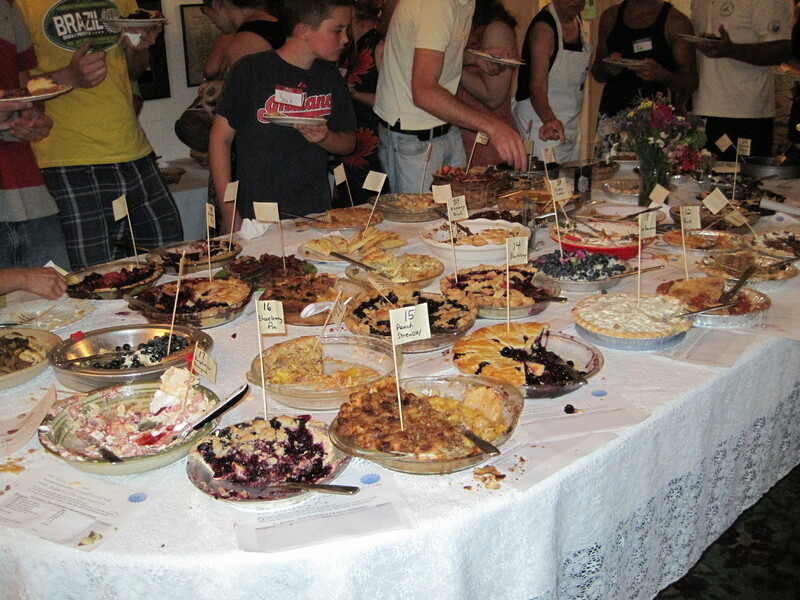 The room was pack, with eager pie lovers waiting to pounce on the pie table. I brought some of my peach hand pies. Some pies of note: The vegan chocolate mousse pie, the Guinness Beef Pie, the three tier wedding pie, a potato pie, a bunch o fruit pies from blueberry, peach, and berry. 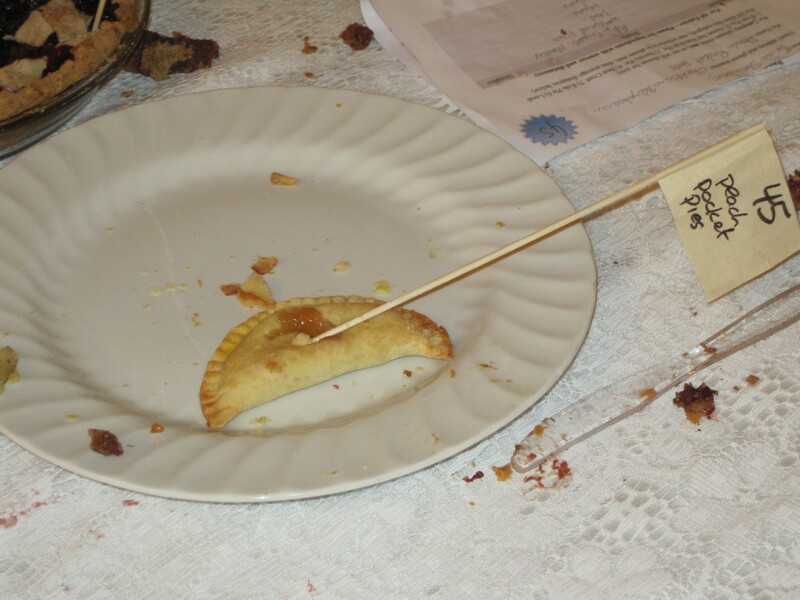 Here is a picture of my last pie with it’s label flag leaning over in surrender. There is sometime cool, homey, nostalgic, tasty, international, and just nice about pie. There were way more sweet pies this year, so next year I plan to make a savory. Of course if everyone has that idea then next year will be all savory. 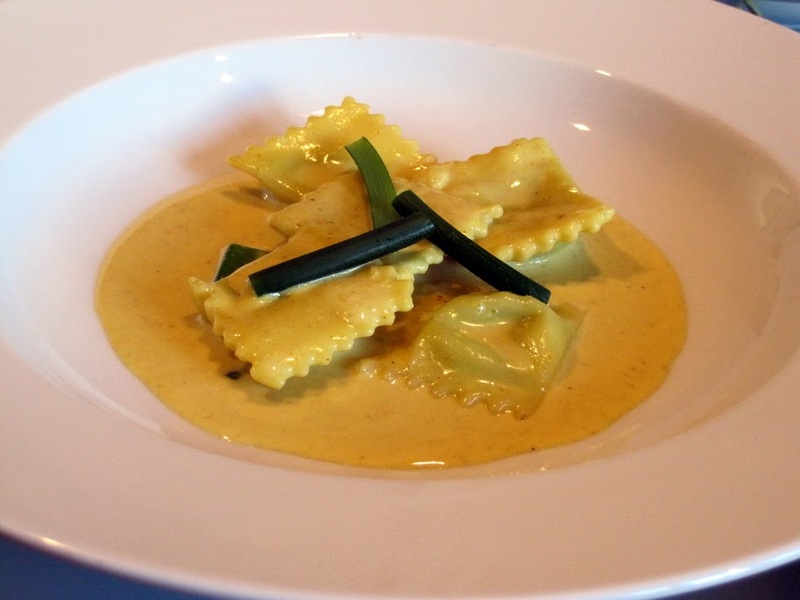 Have you participated in a Secret Food Club? I first found out about this from the Book, The Revolution Will Not Be Microwaved, by Sandor Katz. Katz mentioned a secret food buying club that operates under the radar. It consists of a few locals who formed a food club that meets weekly and offers a variety of food products from raw milk (not pasteurized) and dairy products, home baked goods, herbal remedies, and home fermentation products. The food club operates illegally by selling food products produced in kitchens that are not inspected, and in the case of selling raw milk, is illegal to sell in most states in the US in general. The passage of the Cottage Food Law in Michigan would make some of the products sold at such clubs legal, but this law is barely a week old and not in place through out the country. The readers of Sally Fallons book Nourishing Tradition, and followers of the Weston Price diet are big fans of the health benefits of raw milk. I had attended a talk by Fallon in Ann Arbor, and soon joined a raw milk club in Ann Arbor. The idea was that members purchased a Cow Share. That meant that you owned the cow (in part) with the idea that you therefore had the right to legally drink raw milk from your own cow. My share costed $20 which allowed me to purchase raw milk for pick up at $5 per galloon. They also offered raw butter, raw cream, kefir yogurt, and other products like eggs, lard and meat from the farm. We used to meet at Big Ten Party Store (now Morgan And Yorks) for pick ups. Around that time, Me and Emily moved to Portland, Oregon. I was surprised to see that the local coop offered raw milk. There was a label on the bottle saying “for pets only” as a way to get around the laws concerning selling raw milk for human consumption. A few weeks later, however, the milk was gone. So I did a little research, and found a farmer who sold raw milk directly on the farm, which was legal to do in Oregon. They offered both raw cow and raw goat milk. 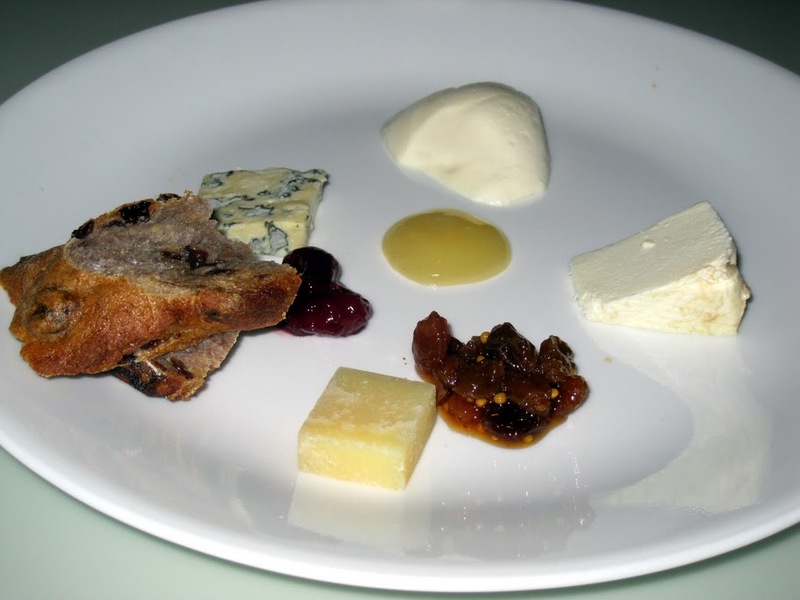 I made my own fresh goat cheese, raw butter, buttermilk, and paneer cheese from the raw milk and cream. These underground food clubs or direct sell raw milk farms unfortunately often experience armed raid by our federal government. An article in The Grist talks about armed raids on farms/farmers who sell raw milk. The raw milk issue is double because it is illegal to sell in most places regardless. I found out that the club that I belong to in Ann Arbor had experienced such a raid (See article: http://www.freerepublic.com/focus/f-news/1732754/posts). It seems that the farmers take the legal brunt of these raids when they get raided. 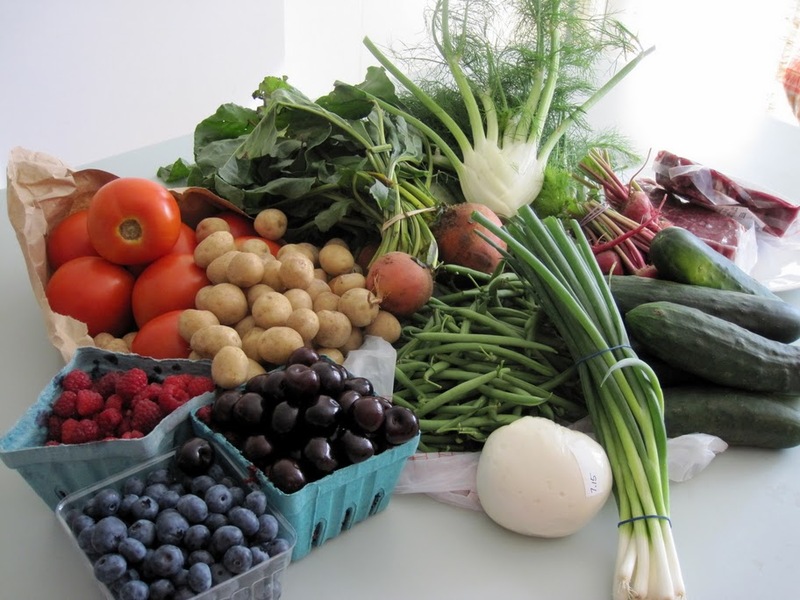 The members also lose out because they no longer have access to the farm’s offerings. So why join or start an underground food club? I guess the idea of being in on an underground food scene has its appeal, and in the case of raw milk, underground is usually the only option. 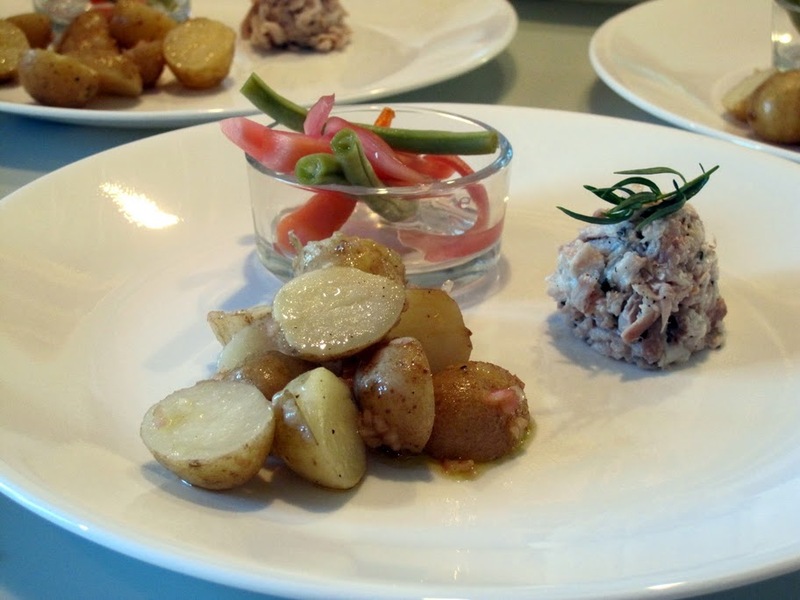 Until the Cottage food Bill passed, the ability to create a small food product start up was out of reach to most because of the access and expense to the a certified kitchen. And the expanse of the reach of Farmers Markets is a relatively new thing, so small communities might have opted to start a secret food club to share locally produced food. The range of Farmers Markets is growing all of the time, and it seems that every town that can support a farmers market has/will have one. Even if there is a Farmers Market, some still might opted to go underground and forgo the expense of renting a space, insurance, or the challenge of getting space at a popular market. The reason for the armed cracked down (why is it armed?) is supposedly to protect willing adults members of a farm/ food club from getting sick from unregulated food products. I can see the government point. They want to keep us safe. Why they need all of those guns is beyond me…but. Are these raid keeping us safe? 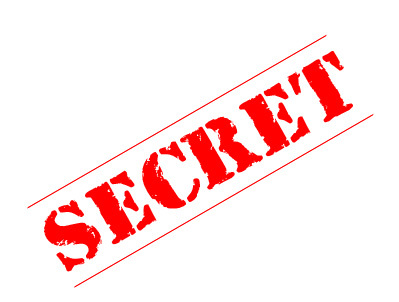 I would like to see data on food illness outbreaks from secret food clubs compared to commerical food operations. The thing is however that there are plenty of “regulated food products” produced and processed from supposedly a safe big ag system turns out unsafe. Today it may be peanut butter, tomorrow it can spinach, and when their is a mess up, it is big. Millions of pounds of product is recalled, and we later find out that our countries regulation arm is under staffed, and under funded, and questionably affected at times. So am I a fan of secret food clubs? I favor a system where small local food producers can make certain foods like baked goods in their homes without being certified, which is what we have now in Michigan. I also think that there needs to be affordable access to certified kitchens, and refrigeration, so a wider variety of food products can be produced locally to grow region specialties, and food systems. I say why go underground when you do not have too. The reality however is that most states do not have a cottage food law, or access to affordable certified kitchens, which means people choose the underground option or not at all. Most choose not at all which results in a massive lost of opportunity. As for raw milk, I am a big fan of raw milk, and I feel that adults should be allowed to purchase and consume raw milk from a farmer, on the farm if they are willing to take the risk, which from my research is not much of a risk at all. My only question is why all of the arm raids? Have any of these secret foods clubs, or farm posed any armed threat or resistance. I have attended several charity dinner parties host by Tammy Coxen of TT Super Club. I was always a guess for those events, but this time I had the honor of helping host the event to support my local food project The Ann Arbor Sugar Beet Project. The idea around the Sugar Beet Project is to bring back local home garden non-gmo/organic sugar beet growing, and home sugar beet sugar making. 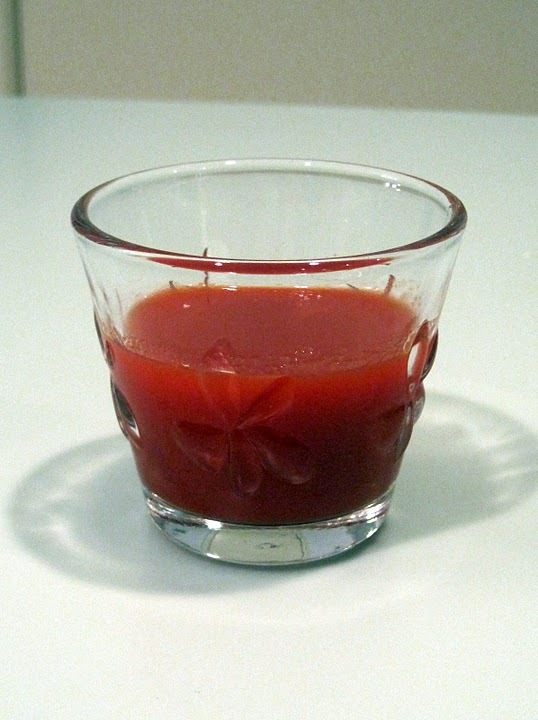 Growing beets, and making beet sugar was a tradition that most Michiganders used to do. Sugar was not alway the cheap, and easily available product it is today. 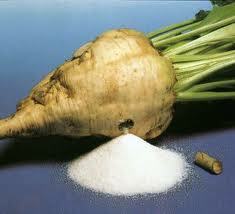 I and several other gardeners and farmers are growing sugar beets with the hope to produce sugar from them. The further goal is to increase our production in order to provide a viable source of local, non-gmo (and even organic) Brand of Michigan Beet Sugar. We raised $316 for the project. The money will go toward securing more non-gmo seed, and purchasing equipment for sugar making like a juicer extractor, a large stock pot, a seltzer bottle, milk of lime, and a large food grade container. 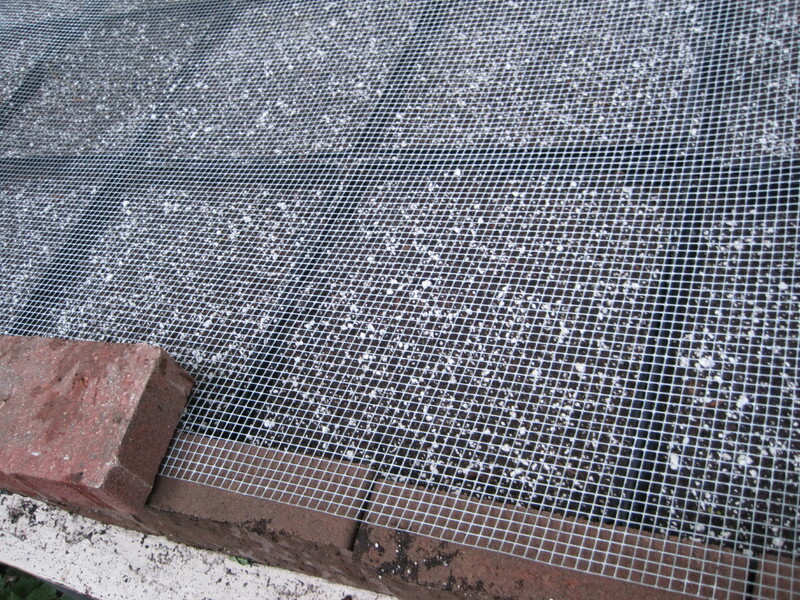 I also brought over two trays of sugar beet starts, which I am happy to say were all planted. 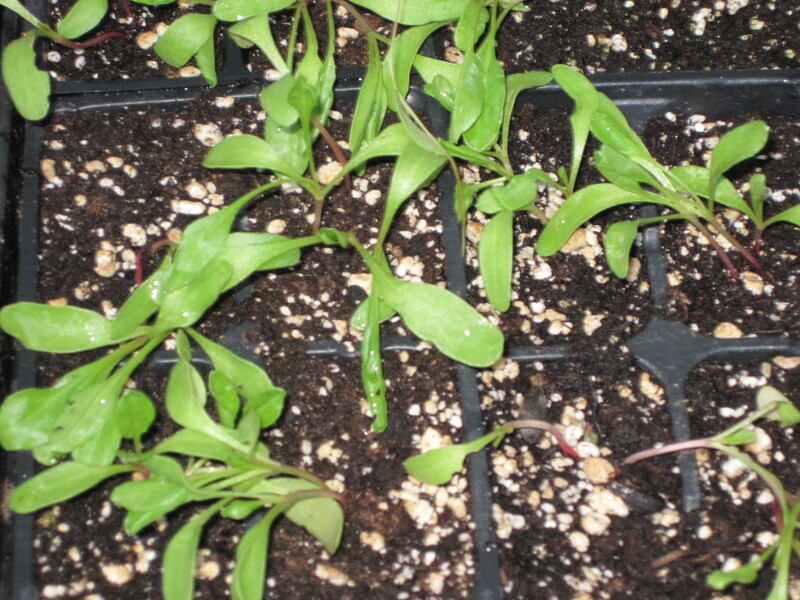 The picture above shows several nice trays of microgreens growing. 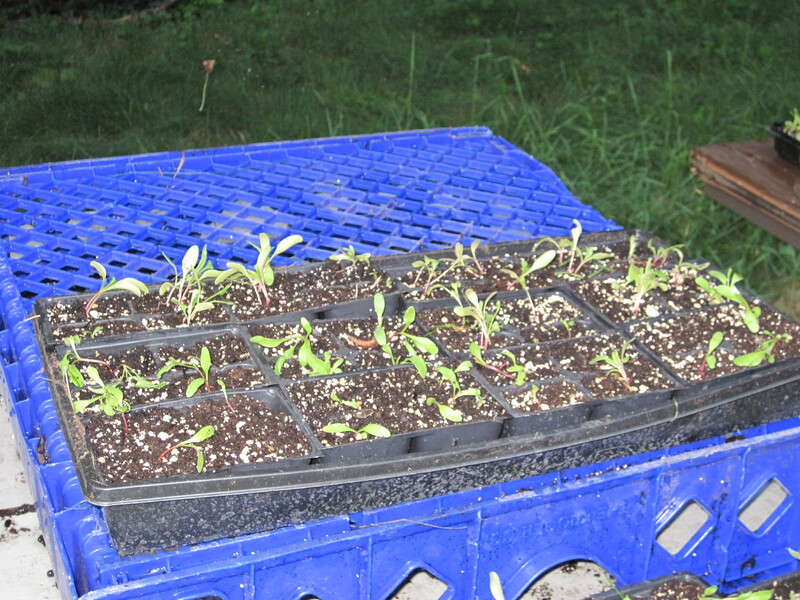 But there seemed to be some new challenge and lesson every week of my first season as a microgreen farmer. I set up a fence to protect my microgreen trays from deer and wood chucks, but I never thought about chipmunks. They can get in anywhere, and they love sunflower seeds. The real problem is that they like to dig around in the trays, and once they uncover the seeds, the seeds dry up and die. They ruined a weeks worth of trays. 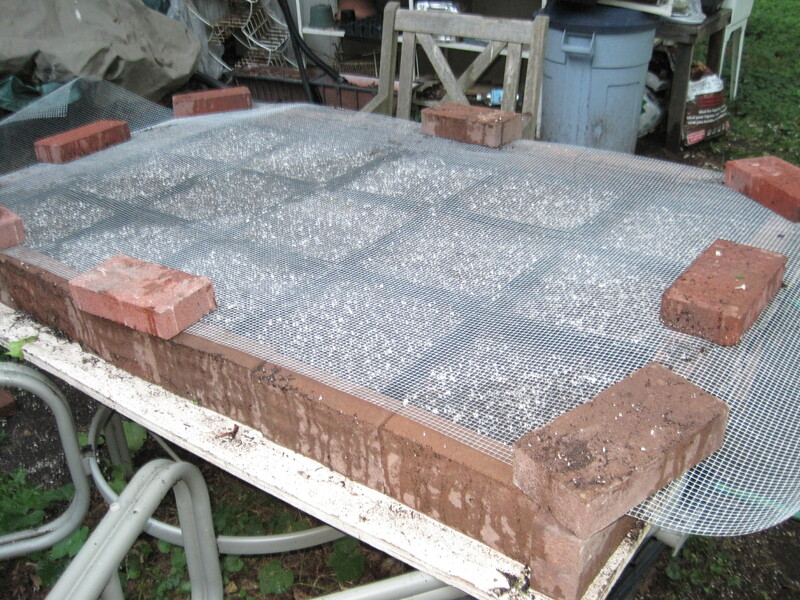 I set up this system of a brick frame with some hardware clothe on top, and bricks on top. If you are more of handy person than me, you could build a wood frame. Once the seeds sprout to about an inch they are safe because the chipmunks only seem to like the seeds, and not the sprouts. 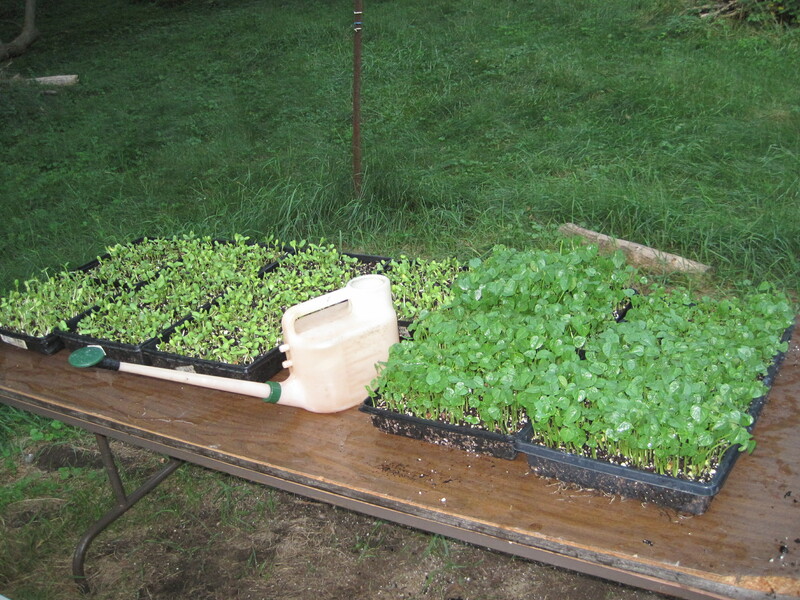 This system is also great for sprouting seed starts outside. Stadium Hardware sells hardware clothe by the foot/yard. Just a few days out from Jennifer Granholm signing the Cottage Food Operation Bill, Inchworm Bakery (That’s me) is happy to announce that we sold out of our local peach pocket pies at the Westside Farmers Market. Many were amazed that this bill became a law so quickly. There was a buzz with other farmers, and venders about food products they would like to make and offer at the market. I was the first one out of the gate, but more will soon follow, and thanks to this new law, a diverse and exciting range of Michigan Made food products will be available. We plan to use as many Michigan ingredients as we can. 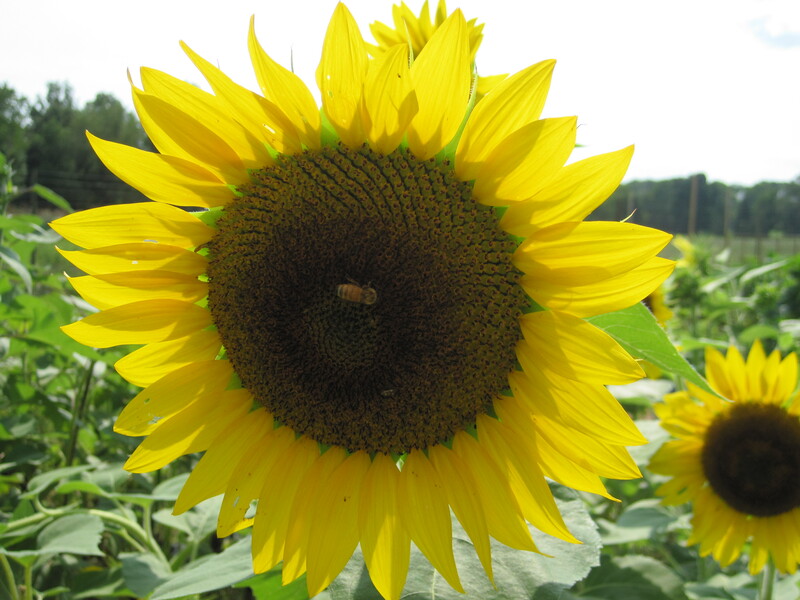 All of our baked goods will use organic Michigan Flour. Next weeks offerings will feature Michigan peaches, cherries, a chocolate pie, and local apricot pocket pies. And Emily will be featuring shortbread cookies.